From the heart of our current student body radiating out to the far reaches of our global community – we are a network of Titans – powerful and influential as individuals, but together we are family of giants! 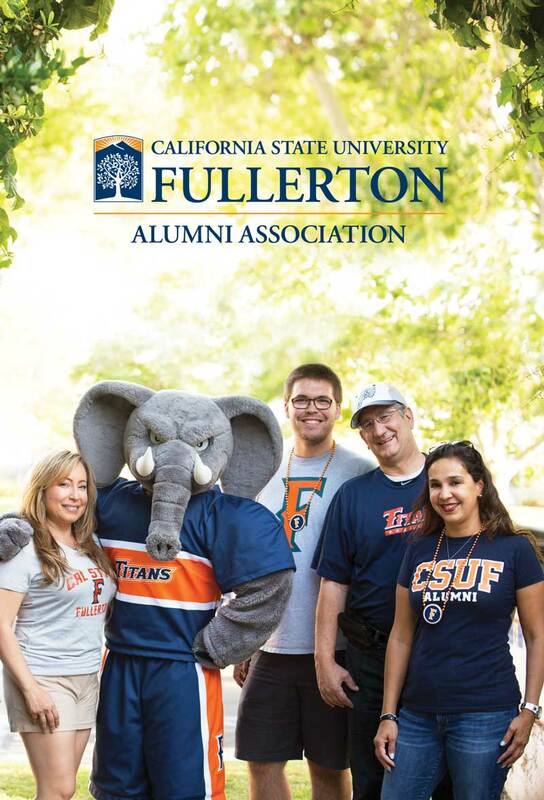 Join the Cal State Fullerton Alumni Association for the one-time lifetime rate of $149 per person. Your purchase includes your Lifetime membership with unique privileges and access to resources as well as a 20% contribution to the Alumni Association scholarship fund. Join the Alumni Association at a special discounted lifetime GradFest rate of $57. Your membership purchase includes a Tuffy Tote with a CSUF alumni metal license plate frame, chrome keychain, $5 class gift contribution, and discounts galore! In 1957, the California Legislature passed a bill establishing a state college in Orange County. The first graduating class consisted of five students. Today, Cal State Fullerton is a “first-tier” national university enrolling more than 40,000 students, offering 110 degree programs and a world of alumni. Thank you for being a part of Cal State Fullerton's remarkable journey! Please take a moment to commit to being a part of our future by becoming a member of the Alumni Association for life!